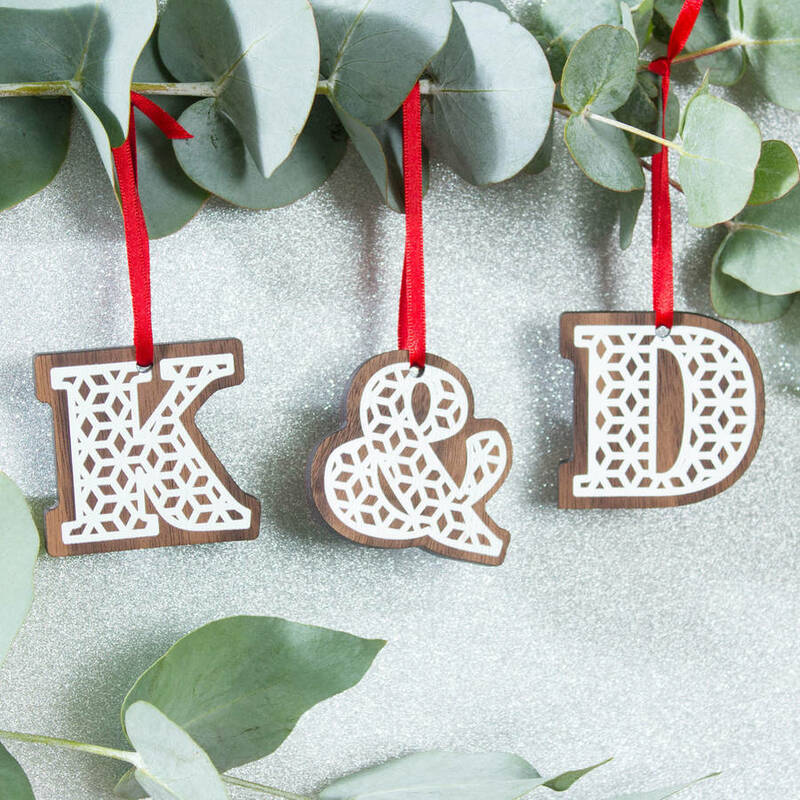 These gorgeous Alphabet Decorations are perfect for creating the ultimate personalised Christmas. Spell out a festive message or simply select your initials and then hang on the Christmas tree. Each letter will be printed with a stunning white snowflake design. 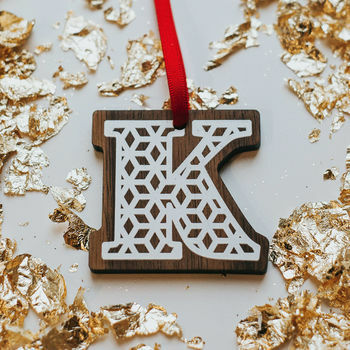 The Alphabet Decorations will be supplied with a red piece of ribbon for ease of hanging on the tree. All products are made to order in our little workshop in The New Forest, Hampshire. Our wood is FSC certified and we are SEDEX approved. We also plant trees in association with The Woodland Trust. This product is dispatched to you by Create Gift Love.